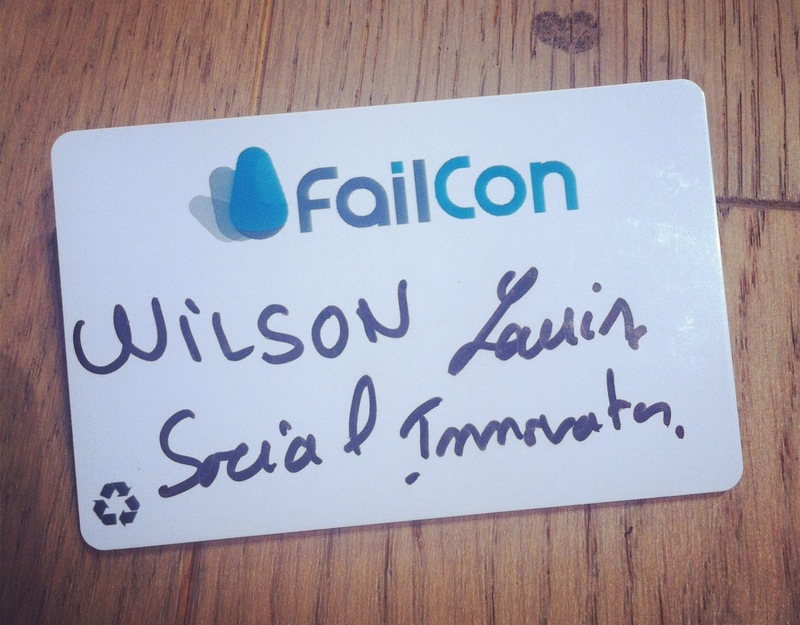 25th September marked the day of FailCon Paris when the fantastic FailCon team came over from California to help the French embrace failure! 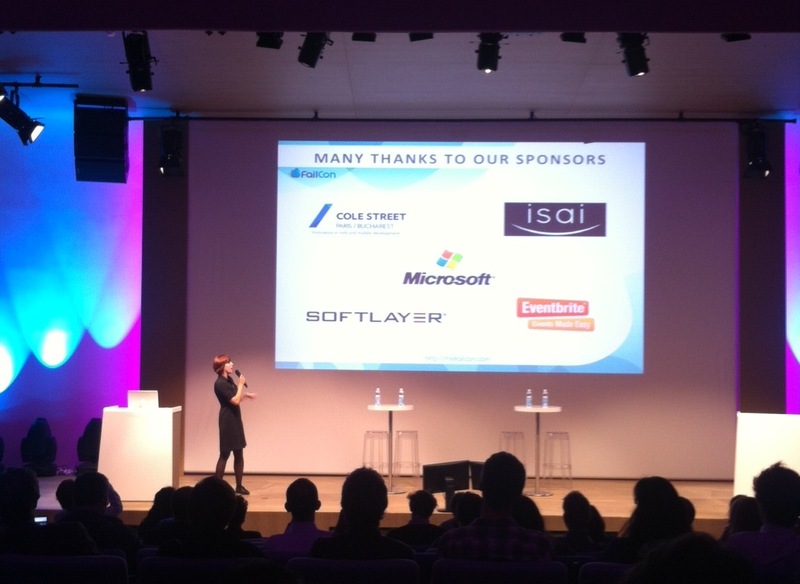 The conference hosted a full day of speakers, Q&As and excellent networking opportunities at Microsoft’s offices in Paris. I went along as I’m particularly interested in encouraging people to understand that any business, start up, venture or entrepreneurial idea will at some point, inevitably experience failure. That, however is not a negative occurance but a means of learning to succeed at what you want to achieve. The speakers were excellent. Some were fairly big names, others were less well known but the thing, for me, that made the event was the atmosphere in the room. Everyone that attended the conference was ready to accept failure, had failed at some point, wanted their business to succeed and/or understood the value of learning from other people’s mistakes. JB Rudelle CEO and cofounder of Critero talked about the differences between being a hare and a tortoise when it comes to business start ups. You may feel the need to run quickly and reach your goals quicker than planned but this can be a curse. ‘If it’s not quick and easy, it is a bad idea’ – WRONG! Success comes from hard work and persistance. Deals should be done when opportunities arise or ‘me-toos’ will creep in! All of this must, however take metrics into consideration. You must force yourself to measure your actions and outputs properly or it will become very difficult to know if you are being successful or not. Eric Mittelette from Microsoft told the story of Microsoft’s web servers being hit by a virus which gave them a bad name. The virus took 15 minutes to infect 75,000 servers! The flaw in their single product meant that customers had a negative opinion of the entire company. Their failure came from their product having too many features and they did not know enough about security. Their piece of advice for businesses is to always have someone look over your code and use fresh eyes when reviewing work. This not only finds flaws and irons out problems but creates fun,positive competition in the workplace. Jean-Christophe Capelli, CEO and cofounder of FriendsClear encountered regulation issues when starting his money lending via the internet business. His business was a small start-up trying to work with big businesses but both were on different time lines. Jean’s advice is to avoid working in regulated industries (!) but the overall learnings were to never give up, be prepared for hurdles and be aware of the pace of your partner companies. He had to stop working for 9 months and take a breather. Something that is not unheard of by a number of start-ups. Sean went on to discuss the directions that failure can take. Often failure occurs because the technology has failed or because a me-too has entered and possibly saturated the market. There needs to be trust between the investor and shareholders. Breakdown in trust is when failure gets nasty. Know your numbers, show your enthusiams but don’t be afraid of having doubts. Philippe said it’s important to paint a vision but also be able to tackle situations and take control. Olivier Fecherolle, Viadeo realised that he was too early with his start-up but didn’t have the money to wait. He made an interesting point that the UK is an island and you need to think that way if you want to launch there. You must base yourself in the place that you want to launch in to be able to set yourself up commercially. You must be in the same place as your company for success and look at your business globally if you want to scale it. Next came the panel session Location: Can It Ruin You? This session discussed building trust with your brand and the necessity of having a website that your stakeholders like and can relate to. Good branding is essential for gaining this trust. Markus explained how he tried to scale the marketing too slowly. It is important to have big numbers and faith to spend money on your marketing! Gabriel was confident that you don’t necessarily want two years of runway to grow your start-up. It’s more important to spend what money you have wisely! 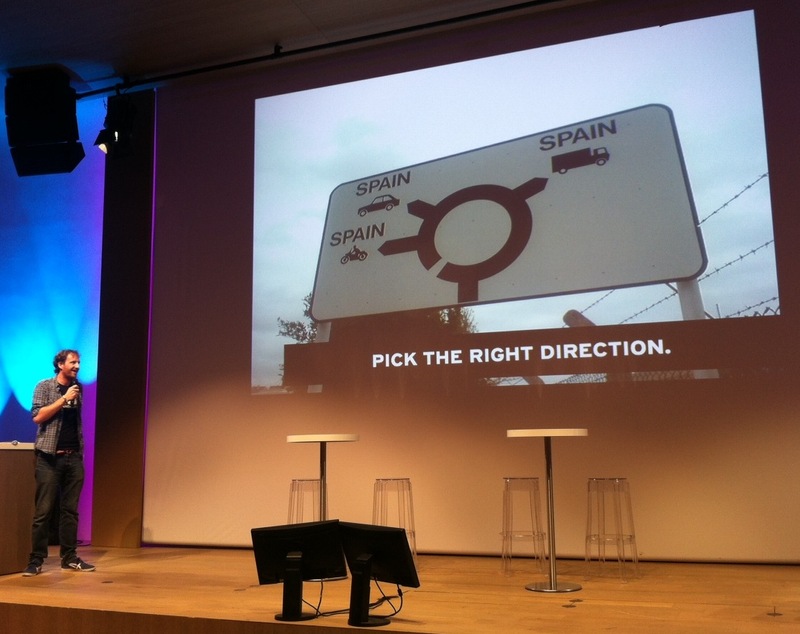 Lara Rouyres and Tatiana Lara, LivingSocial had some very wise words to share as the last speakers of the day. The culture of a small start-up will change when it becomes a bigger business and people need to be ready for this. ‘Make sure you get management to write down their values each month, then choose who represents those values best’ was a technique they have adopted. Anticipate transition, don’t rush into hiring people and remember that communication amongst the team is crucial. Starting a business can be done by nearly anyone but understanding what is ahead of you needs confidence, management and planning. We can plan for inevitable hurdles but we never know when we will come across them and need to be ready to pivot. Every time we fail, those hurdles become more obvious and the time it takes to pivot reduces. You must believe in yourself but be mature enough to listen to others and know when to take their advice! The conference was incredibly valuable for anyone running a business and what I heard definitely rings true with the start-ups I am currently working with.